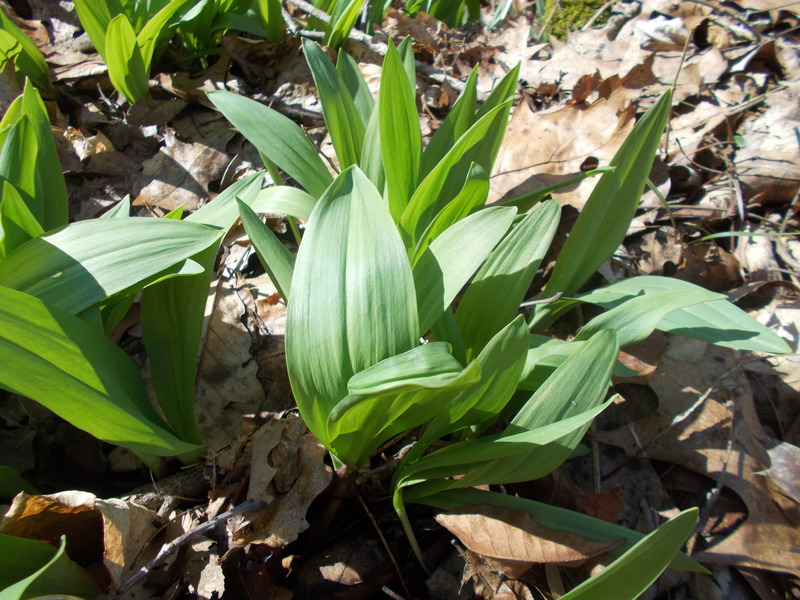 Ramps..spring beauties..trout lilies..toothwort..curly dock..chickweed..dandelion..redbud flowers..watercress..violets..wild onions..It is that time of year. He knows why, because he is the same way, shunning regular produce if he can go gather some greens. There is something deep inside my primitive DNA that makes foraging for “wild” salads feel natural. No pesticides, no genetic modification, and they are loaded with tons of vitamins, minerals, and antioxidants. Starting this time of year, my focus shifts to my chlorophyll laden friends. Thankfully, my hunting and gathering forays are counter-balanced by my gifted wife that loves to cook. Tonight’s meal was fresh caught crappie, pan seared, with lemon basil butter, over sauteed ramps with shallots, on a bed of wild rice and quinoa pilaf. 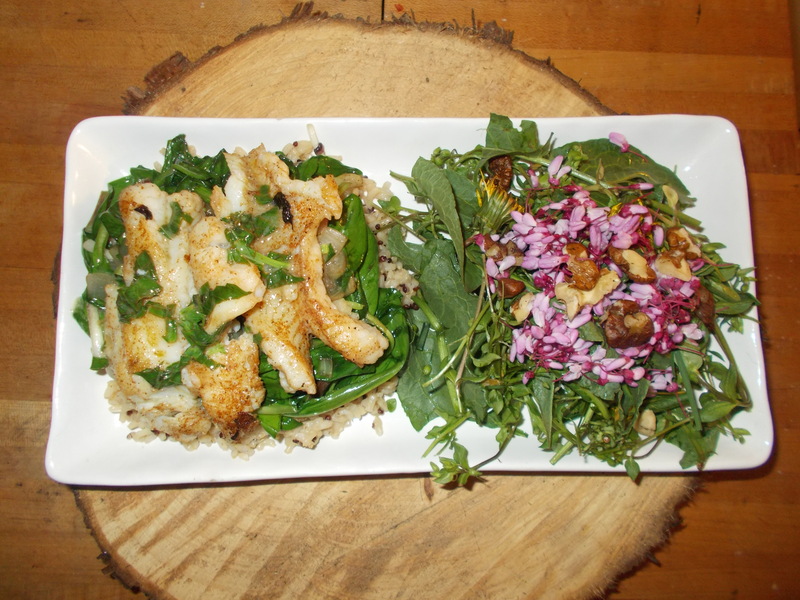 Chickweed, curly dock, dandelion greens and buds, plantain, wild onions, wild lettuce, and redbud flowers, made up the “wild” salad and was topped with some crushed black walnuts. Fresh, free food that is popping up everywhere. Stay tuned as we are finalizing the dates on our foraging classes. This entry was posted in Foraging and tagged black walnuts, bushcraft, crappie, curly dock, dandelion, foraging, Ramps, redbuds, watercress, wilderness survival on April 3, 2014 by bigpigoutdoors. I really like this blog, thanks.